A Glance at Elizabeth Willing Powel’s Political Power, Position and Opinions of Slavery. 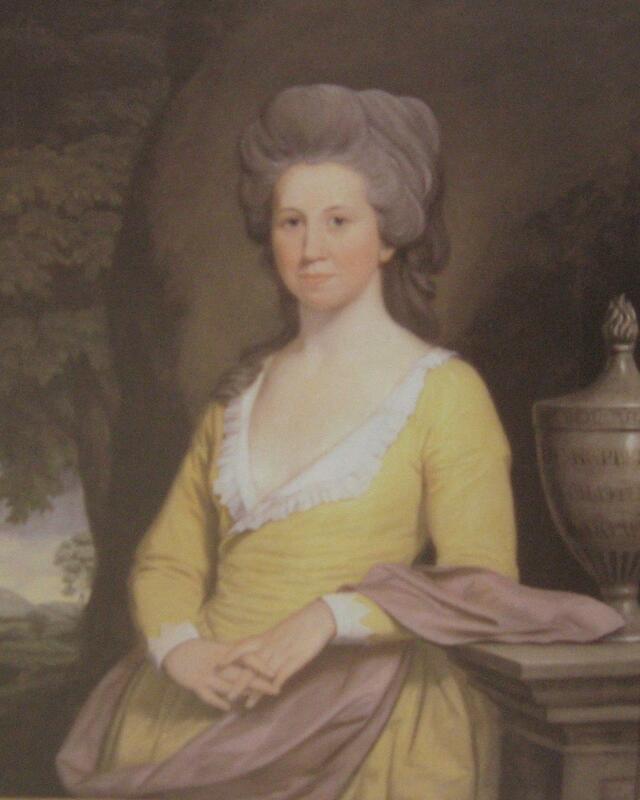 Despite having an extraordinary amount of political influence during the American Revolution, including a lavish home that frequently housed Philadelphia’s elite and an impeccable gift for articulation and intelligence, Elizabeth Willing Powel (1743-1830) is practically unheard of to the masses. As an influential woman living in the contextually patriarchal colonial and early America, every feminist and history major should be made aware of the force that was Elizabeth. Mrs. Powel’s socially-rare and powerful influence was made possible in part because of her marriage into one of Philadelphia’s prominent political families. 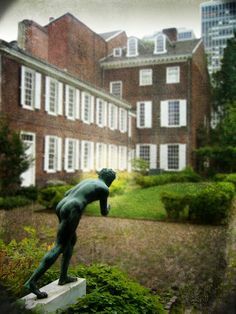 Her husband, Samuel Powel,inherited approximately ninety residences in the city. With his monetary benefits of being a landlord, Powel purchased and renovated a massive home boasting of three stories with a front room measuring the full width of the entire upstairs, and a two-story west wing. With luxurious furnishings and extravagantly crafted details reaching the ceilings, it is safe to assume that the Powel House (now a landmark) was renovated to impress its equally notable guests that visited. Such guests that were drawn to the Powel’s elegantly commodious interior included George Washington, John Adams, Benjamin Rush, Benjamin Franklin, and the Marquis de Lafayette. Along with his expansive residence(s) and successful landlord position, Samuel was also a central figure to politics; “he “served as the last mayor of Philadelphia under the Crown and was the first mayor of the city after the creation of the United States.” Consequently, Powel was later dubbed the “Patriot Mayor.” Moreover, Samuel served as the speaker of the Pennsylvania Senate in 1792; he was elected trustee of the Academy and College of Philadelphia in 1773 and served as the board’s treasurer in 1778 and 1779. He also became a trustee of the University of Pennsylvania, remaining so until his death in 1793. Elizabeth did not share Samuel’s public political life. With the exception of entertaining their husbands’ colleagues; candidly or clandestinely promoting their causes with one another or organizing charities, women were commonly ostracized for their political inclinations during the Revolutionary Era. Thus, as expected with the revolutionary milieu, Elizabeth’s political power was at its most influential in the domestic sphere. But Elizabeth was no ordinary revolutionary, or woman, for that matter. Although she claimed otherwise, Liza was the head of the Powel household and responsible for book-keeping, finances, and continual entertainment. Amidst an elaborate (and as John Adams wrote, “sinfull [sic]”) display of food, beverage and wealth, Liza’s inebriating charm, and wit warmed some of the most influential heads, hearts and ears to her will (despite the pervasive patriarchal gender conventions of being verbally and contextually restricted). As historian David W. Maxey notes, Liza “was incapable of withholding her opinion on the direction in which she saw the country moving, or on the competence of the leading figures in public life;” this includes George Washington. In a seven page letter to the President, Elizabeth transitions from cajoling to rigorously impressing upon Washington’s pathos to keep him from retirement. Although he didn’t respond to her, he remained president for a second term and covertly mentioned the Philadelphia elite for having something to do with this decision. But was a woman powerful enough to impress upon a president, forward enough to gain politicians’ respect rather than sneers; and progressive enough to fulfill the patriarchal position of head of household able to expand that bordering-on-outlandish progressive attitude toward slavery? Indentured servants, freed and bonded slaves alike served under the Powels in their expansive home on 3rd street. However, by a consensus in 1790, either by the process of manumission (liberation) or selling (although no one really knows how or why), Samuel had very few bonded peoples under his care (which is quite impressive given that he had been raised with, and later perpetuated, slavery). Not only was Elizabeth’s participation in the system limited, but its connotative consequence of cruelty is seemingly non-existent in her case. According to the several written implications of Elizabeth’s, she willingly accepted a compassionate responsibility for her servants. Elizabeth not only provided education to at least one of her younger bonded servants, but also financially provided for several of her servants well after her death in 1830. Moreover, she immediately pursued her most trusted doctor, despite his retired position, for medical attention for the servants and slaves during the Influenza outbreak in their home in 1815. Furthermore, Mrs. Powel frequently juxtaposed “servant” with “trustworthy” “loyal” and “honorable” in her letters. And her immaculate book keeping skills proves that, with the exception of the normal flux of employees during long durations of time (especially under times of distress), Elizabeth had acquired life-long companions rather than distant employees. These very powerful examples of Elizabeth’s treatment of her slaves/servants are but a few, it is safe to assume, because of her paper trail’s frailty (most likely due to being restricted to the domestic sphere). Unfortunately micro-social perspectives of her life before marrying Samuel are also practically nonexistent. Her family was well known for their wealth (and slaves) however, there is no evidence that can be gathered that suggests she accepted her family’s lifestyle–except Elizabeth. Elizabeth may not have influenced large scale progress in combating slavery, but as the unlikely ruler of her own domain she exercised compassion, tolerance and devotion to the welfare of her employees and received their devotion in return, while simultaneously assisting with the beginnings of the abolition movement.